Both of the films that are spoken about in this episode are premiering theatrically this week at Film Forum; and both conversations were recorded on the premises of the arthouse theater. [3 mins. 21 secs.] First up is filmmaker Antonio Méndez Esparza and first-time actor Regina Williams with their film "Life And Nothing More" which opened at the NYC arthouse yesterday, Wednesday, October 24th. It will also have theatrical runs beginning tomorrow at the Alamo Drafthouse in San Francisco as well as at the Laemmle Playhouse 7 and Monica Film Center in Los Angeles. Stressed by her job at a diner, single mother Regina (Williams) struggles to raise her two children in northern Florida. When her 14-year-old son has another brush with the law, Regina starts to worry that he'll wind up in prison like his father. [32 mins. 50 secs.] 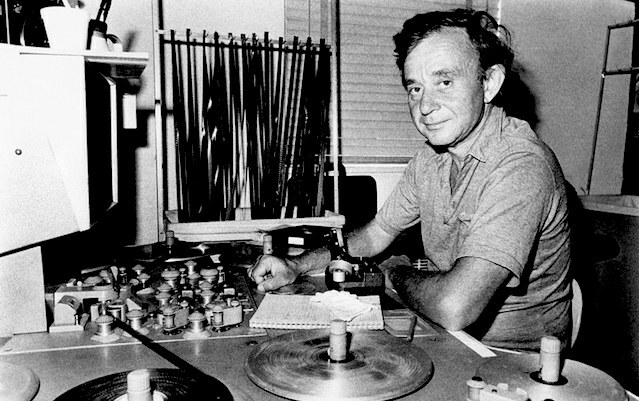 Then third-time returning guest, documentary filmmaker Frederick Wiseman discusses his latest film "Monrovia, Indiana" which opens tomorrow, Friday, October 26th at the aforementioned theater. Founded in 1834, Monrovia, Indiana (pop: 1063) is a small farming community that might be passed over en route to larger cities like Indianapolis or Fort Wayne. Yet 46 million Americans live in rural towns like Monrovia, once the backbone of American life. In his 44th film (the 13th premiering at Film Forum), master documentary filmmaker Frederick Wiseman trains his legendary camera on the town, exploring its conflicting stereotypes and illustrating how values like community service, duty, spiritual life, and generosity are lived. We also discuss Wiseman's entire catalog which has recently become available for viewing over the Library's website through the Kanopy streaming service.